Check out the gallery below to look inside the book and read reviews from the most influential spinners making yarn today! Techniques are clearly illustrated with diagrams including a skein and knitted swatch for visual comparison. 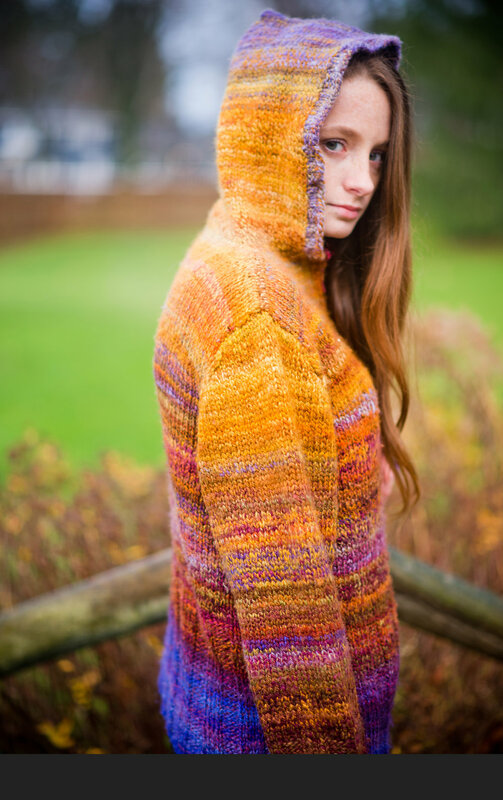 Gorgeous photos help you see the potential of your handspun yarns! Step-by-step photos ensure mastery of skills. See how each technique looks when applied to a single top in both a skein of handspun and a knitted swatch. Beautiful photos of finished garments show how the techniques look in different end uses. Chapter 2 explores how spinning mechanics, fiber preparation, and plying influence color. Chapters 3-5 start with the same dyed top, exploring 20+ different approaches for different color outcomes.